Restaurants, hotels, spas, salons and other related business’ key to converting an order is their menu design and layout, ultimately enticing customers to prompt action. It’s the first impression which instantaneously creates a unique perception of your business offering, which a professional menu designer can capitalise on. 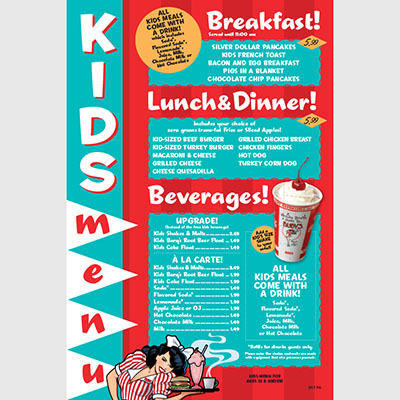 One of our custom menu design or menu board designs is not just a few words and pictures. It is a logical and visually engaging structure which has been created by a professional menu design company who know how to deliver on results. 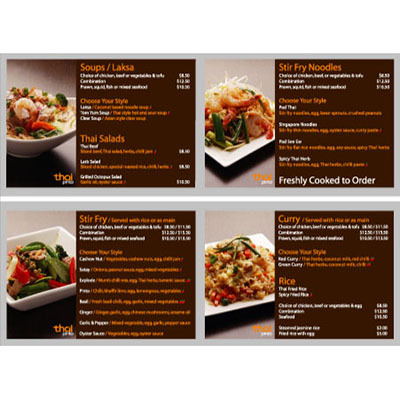 A modern menu design can provide more orders than you can expect. Customers love to read and with easily readable fonts, fitting colour, icons and style we can help you achieve what you desire. 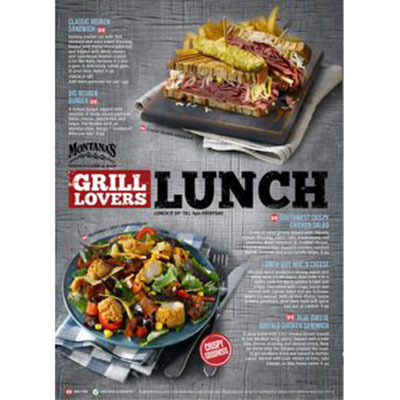 Our highly skilled team of professional menu designers have handled umpteen menu redesigns and have the know-how and expertise to provide designs which deliver. Each menu is different and should be reflective of the establishment and the brand values it holds. If you are not satisfied with the current performance of your menu or are looking at a new menu project, get in touch and we can discuss your needs. Indeed for all our projects we can handle the menu printing and get them delivered to your door. Over the last 10 years, we have been renowned as one of the best graphic design companies for menus. We have designed 100s of restaurant menu designs, café menu design, take out menu design, simple menu design, drink menu design, bar menu design, cocktail menu design, kids menu design, pizza menu design, beer menu design, wine menu design, catering menu design. The list goes on. Whether it’s a restaurant brochure or a menu cover design you need doing we will work with you every step of the way to understand your business values, your customers and your end goals to deliver the best menu design for your business. Our menu design consultant will work with you to explain how we will design your creative menu so you know exactly what the outcome will be. We work very closely with all our clients and its one of the reasons why we deliver great menu design consistantly time after time. 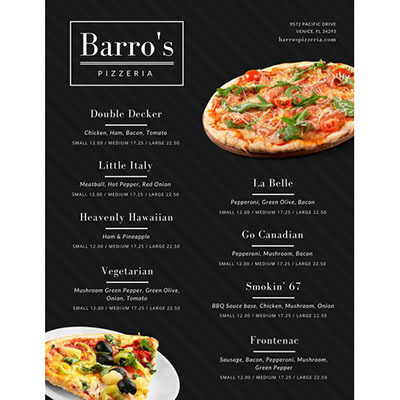 WE PRINT RESTAURANT MENUS TOO! As part of our menu design services, we offer a full range of high-quality menu design and printing in both digital and litho print procedures for various matt, gloss and natural finishes. We can print everything from custom restaurant menus to menu book designs to trifold menu design and get everything delivered right to your door. All of our print runs are delivered using state of the art printers, on high-quality papers. We meticulously quality control everything to ensure our high standards are met. Indeed all of our professional menu printing comes with a 2 working day turnaround and we can deliver anywhere in the UK next day. We will design, print and delivery on time and on budget.